George Shipway, right winger for Dulwich Hamlet either side of the First World War, partnered two of the greatest inside forwards in the history of the amateur game, the Egyptian Hussein Hegazi and the legendary Edgar Kail. 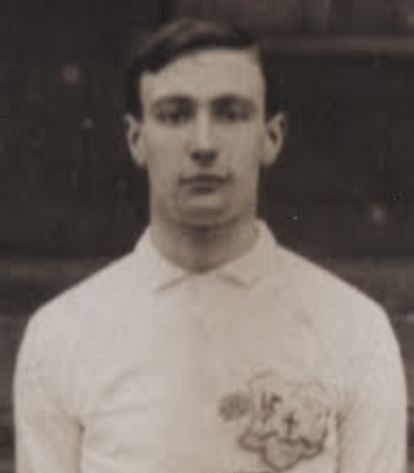 In 1913 he won two England caps, against Germany and Holland, making him the club’s second amateur international after Charlie Tyson. 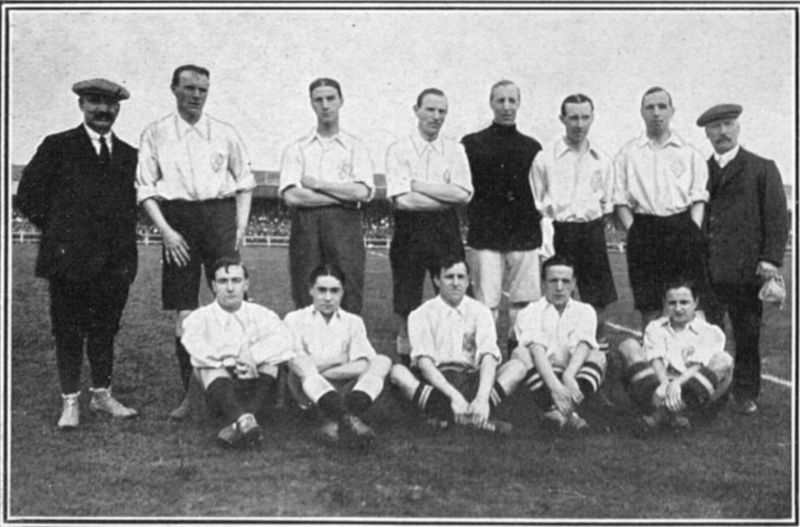 England Amateurs 1913. Shipway first left seated. During his time at Champion Hill, Shipway gained many representative honours for the London FA and Surrey County FA. A few years ago some football memorabilia relating to Shipway was auctioned off. Along with the county caps and badges was his large collection of enamel pin badges. 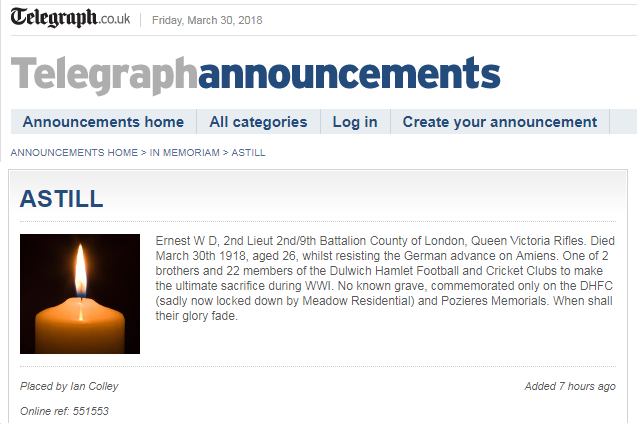 Included among them were some early Dulwich Hamlet ones from the 1920s and 30s. 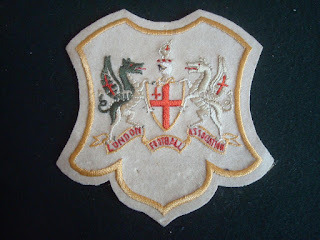 Recently some of his embroidered shirt badges have turned up on Ebay. The London badge he can be seen wearing in the top picture from December 1911. The photograph was taken before the match against Middlesex at Stamford Bridge. On Remembrance Day 2006, we had the great pleasure of unveiling the Pa Wilson Memorial outside the Champion Hill Stadium. 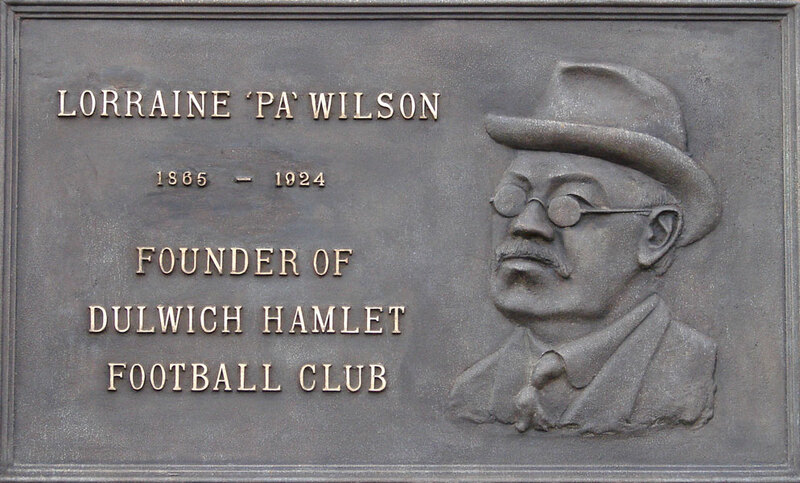 This large handsome plaque depicts the founder of Dulwich Hamlet Football Club, and is a constant token of one who gave so much of his life and health to Dulwich Hamlet. The relief portrait is by sculptor Charles Westgarth and is cast in bronze by James Virgo, a lifelong Hamlet supporter. 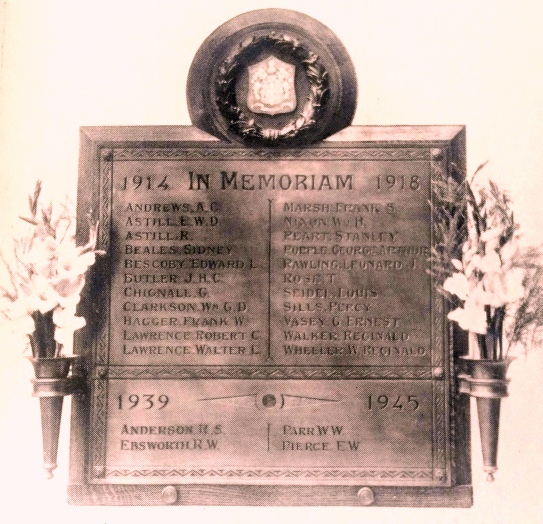 This was not the first time Pa Wilson had been honoured with a memorial to his name. Following his death in 1924, devotees at Dulwich Hamlet decided to perpetuate his memory by setting up the Lorraine Wilson Memorial Scholarship at Dulwich College. This is still available to young students today. However, the truth is that Lorraine ‘Pa’ Wilson has a far greater memorial. It is this very Club. 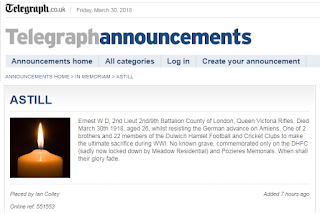 The whole edifice that is the Dulwich Hamlet Football Club is a monument to him. It was his creation over a century ago. He laid the foundations. Indeed, he is the very keystone. He found the money – often his own benevolence. He had the credence. His was the pulling power. He sought the bigger grounds, and the comfort of the supporters. It was his ideals that were ingrained into the staff. His influence was immense and incalculable. His name is deep-rooted in the history of the club and local football. 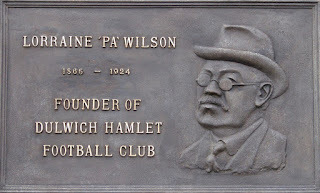 Pa Wilson was the Club Treasurer for thirty years, and eventually (albeit for one short year) was honoured as the President of Dulwich Hamlet Football Club. 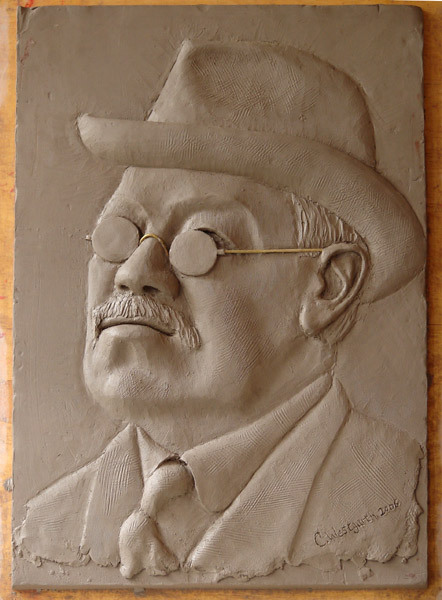 In 1924, Pa Wilson died following a prolonged severe illness. He was buried just a few hours before the final match of the season. 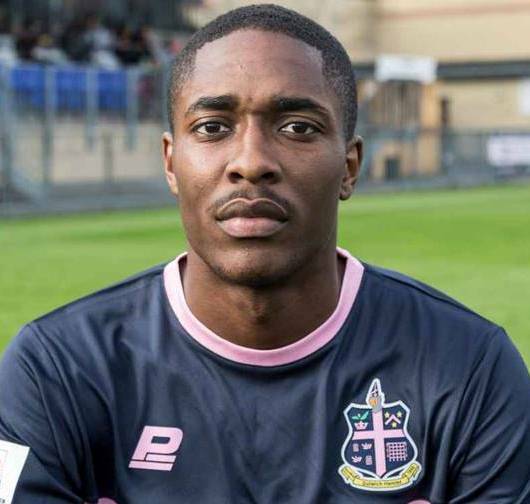 Hearty congratulations to Nyren Clunis who scored his hundredth first team goal for Dulwich Hamlet this week away to Lowestoft Town. It is almost eight years to the day since his first senior goal against Fleet Town. 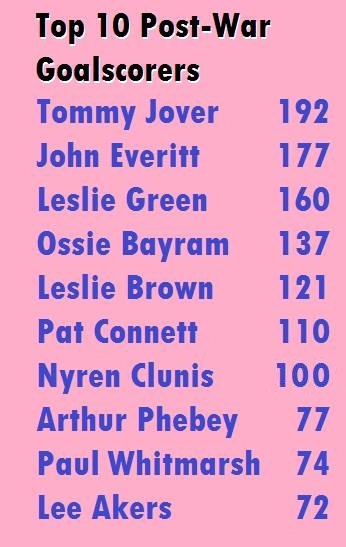 We have to go back to the 1979/80 season to find the last Dulwich player to reach a landmark century of goals for the club. That was the legendary Ossie Bayram, who went on to score a further thirty odd before moving on. Clunis joins a small group of players who have performed the feat, becoming only the seventh post-war player to do so. 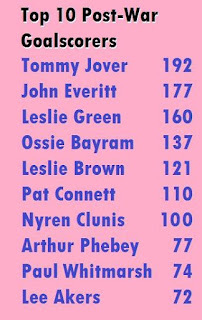 That list includes three of the Hamlet’s greatest players of modern times – Tommy Jover (192), Ossie Bayram (137) and Pat Connett (110). We look forward to the next hundred. Helen Hayes, MP for Dulwich & West Norwood's historic speech in Parliament. Taken from the Hansard website. I am grateful for the opportunity to bring to the House serious issues that threaten the future of my much-loved local football club, Dulwich Hamlet, and which have relevance for local non-league and league clubs throughout the country. There are stories similar to Dulwich Hamlet’s from the football community throughout the country: from Skelmersdale to, Merthyr, Torquay, Hereford and Coventry. Communities are fragile and the spaces and institutions that bring people from a diverse range of backgrounds together can be rare. Local football clubs provide this focus and an opportunity for friendships to be developed and bonds strengthened through the sharing of the passion that football inspires. I thank my hon. Friend for securing this debate. Many of my constituents have contacted me about Dulwich Hamlet and they have all spoken about their love and affinity for the club. As my hon. Friend says, football clubs are often the lynchpin of communities, but they are increasingly threatened by buy-outs, as we have seen in Dulwich. Does she agree that the Government should look into strengthening protections for these community assets? I agree wholeheartedly with my hon. Friend’s remarks.This year, Dulwich Hamlet celebrated its 125th anniversary. The historic first formal meeting of Hamlet Old Boys and founder Pa Wilson took place on Friday 28 January 1893 at the Dulwich Hamlet Elementary School in Dulwich Village. The team eventually settled at Champion Hill in 1902—the same year in which both Manchester United and Real Madrid were founded—and it has been there ever since. One fan told of his days as a beat bobby in south-east London and how Dulwich Hamlet and its loyal supporters—the Rabble—came together to engage the local youngsters, providing school competitions, role models, and an alternative to getting into trouble: just one of countless initiatives the club has led in the community. Under current manager, Gavin Rose, who is in the Public Gallery today, the Aspire Academy has been developed and works with hundreds more young people every year. Thirty-five players from the academy have moved into the professional game. Aspire is not just about success on the field—although it is certainly that—and it is not just about developing better players; it is also about instilling in our young people the importance of becoming better members of their community. The situation developing at Champion Hill is unfortunately far from an isolated situation. Across the country, we are seeing clubs whose communities face losing access to vital sports grounds or that have been adversely affected by stadium land deals. After all, many football clubs—particularly in London and not only at non-league level—have found themselves homeless, and in some cases merged or out of business, after falling victim to the ambitions of property developers. I did not want to interrupt my hon. Friend because she has made an incredibly powerful case, and I know that the Minister will be very keen to respond, but I hope that she will pay credit to the Football Foundation, which is doing a great deal of work in redistributing money. I appreciate that one of the problems with British football is that there is a lot of money at the top and not a lot at the feeder clubs, but the Football Foundation—in my opinion and, I think, in that of many of our colleagues—is doing a really good job for grassroots football.